aFe delivers a powerful sound and unleashies better performance with this MACH Force-XP Cat-Back system. Your Jeep Grand Cherokee will have that aggressive deeper sound, without any drone when cruising. 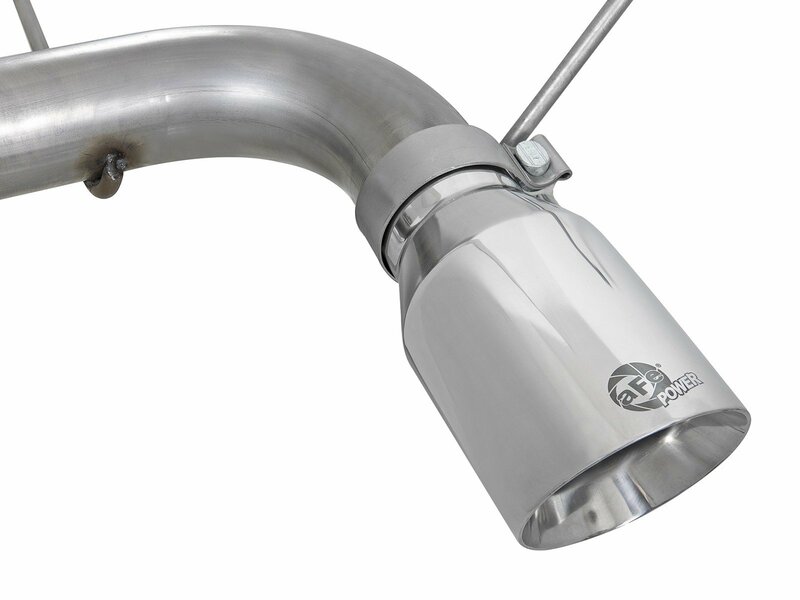 This system includes a high-flow stainless steel muffler and dual resonated mid-pipe. This Cat-back system is Constructed from 2-1/2" to 3" mandrel-bent 304 stainless steel for maximum airflow and corrosion resistance. In testing, the cat-back exhaust system produced gains up to +5 horsepower and +8 lbs. x ft. of torque. 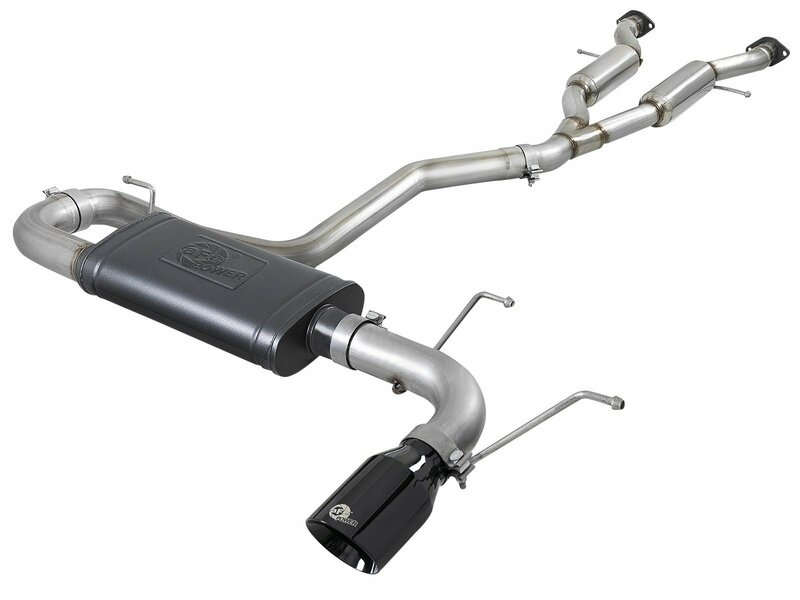 The Muffler is powder-coated with a high temp finish for long lasting good looks. 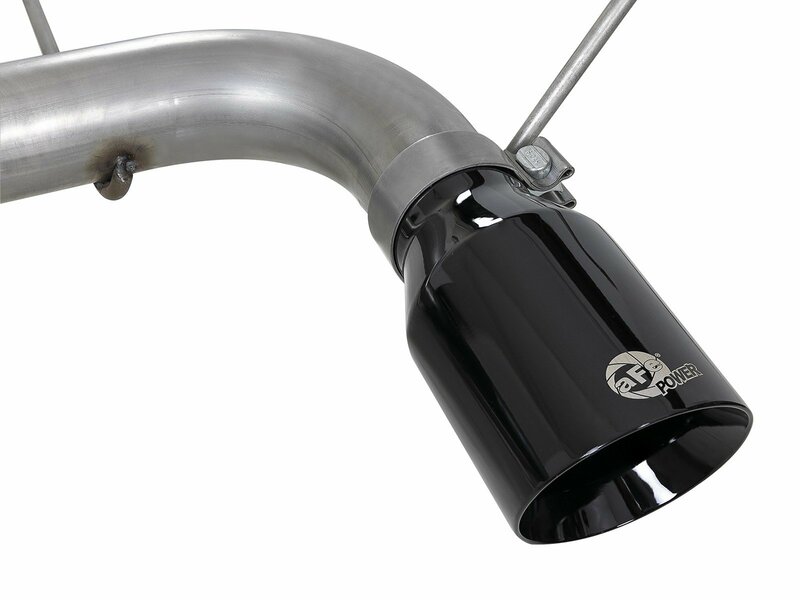 A 4-1/2" polished or Black exhaust tip with laser etched aFe POWER logo provides a bold look to let everyone know you take pride when it comes to customizing your Jeep.This CAD-designed MACH Force-Xp Cat-Back exhaust system utilizes factory mounting locations and OE style bayonet hangers, providing stability and a hassle-free installation. Make a statement when you roll down the street or on the trail with this MACH Force-XP Cat-Back system. This Cat-Back is backed by the aFe Lifetime Warranty. 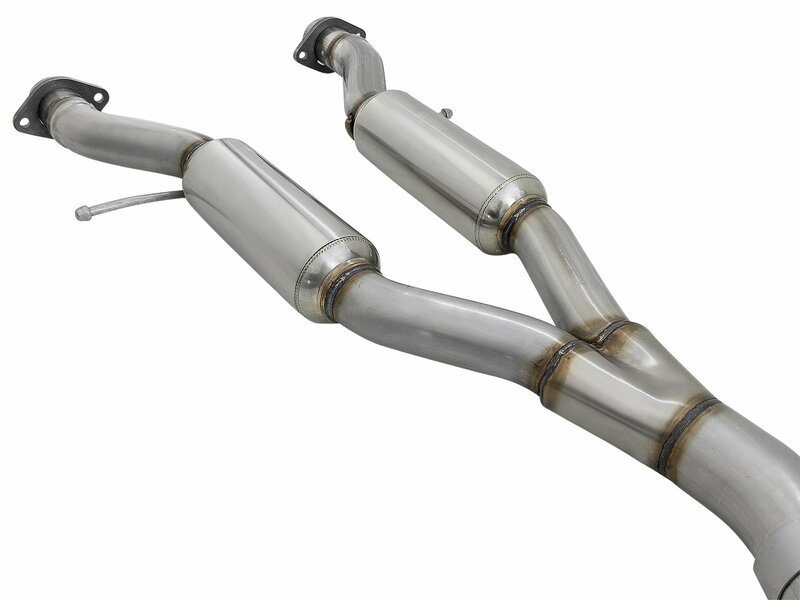 Sound Note: This system includes a high-flow stainless steel muffler and dual resonated mid-pipe, producing a powerful sound and unleashing better performance, without any freeway drone. The muffler is powder-coated with a high temperature metallic black finish, providing corrosion resistance for long lasting good looks. 304 Stainless Steel Construction: This system is constructed of durable mandrel-bent 2-1/2" to 3" 304 stainless steel tubing for maximum air flow, corrosion resistance, and strength. Performance Gains: Dyno tested -This cat-back exhaust system produced gains up to +5 horsepower and +8 lbs. x ft. of torque. Your Jeep Grand Cherokee will get that extra boost that you should expect from aFe Performance Products. 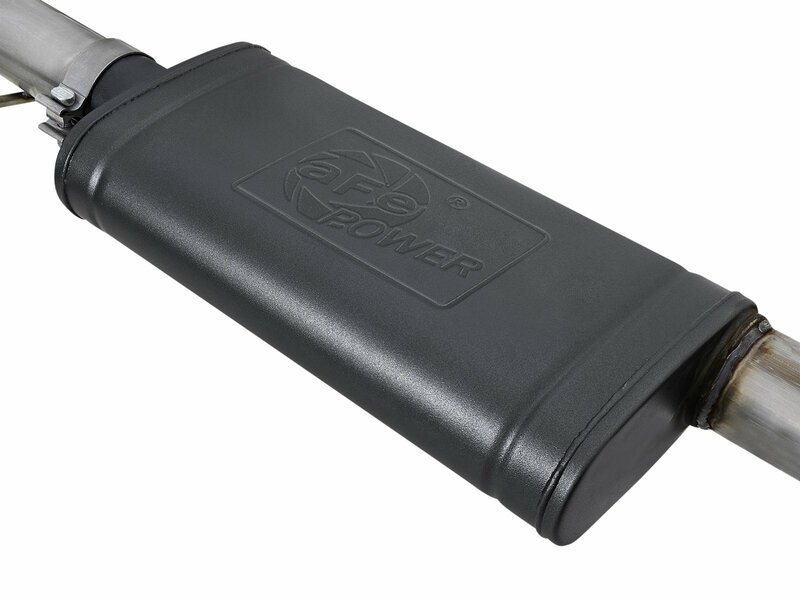 304 SS Tip: This system includes an angled, double-walled, black or stainless, 4-1/2" diameter tip with a laser-etched aFe POWER logo for a bold look. Simple Installation: This CAD-designed MACH Force-Xp Cat-Back exhaust system utilizes factory mounting locations and OE style bayonet hangers, providing stability and a hassle-free installation.